We know that lots of dark green leafies are good for us. But eating enough of them was always a challenge for me. I like Swiss Chard in a lot of dishes, but I could never really enjoy Kale. Until I found a recipe for making Kale Chips. As with most things, there are simple and complex recipes. This is a simple kale chip recipe. One bunch of Kale. It doesn’t matter if it’s a tad wilted, like mine was, since you’re going to dry the kale to a crisp anyway. Trim out thick stems, wash the kale. Tear into pieces (I leave mine pretty large because they shrink a lot in drying.) Coat with kale chips with olive oil. On this, you do have to get in there with your hands to make sure all the curly leaves have a nice sheen of oil on them. I then sprinkle with some fine popcorn salt. Go easy, though, they have an assertive taste on their own and don’t need much salt. Put the oil-coated kale leaves into the dehydrator. It’s a damp day today and mine took 3.5 hours to dry. The last time I did them, they were very crisp at 3 hours. I also had some parsley drying today, so that could have effected the time as well. Take out your kale chips and munch away. I like them a lot and my 13 year old daughter thought they were “pretty good.” I have also mixed some kale chips in with freshly popped popcorn. Yum! No, it’s not potty talk. “No Poo” is a catch-phrase used to describe hair-care without Shampoo. I learned about it a while ago while surfing around some crunchy blogs. The basic recipe for going completely no ‘poo is; about a tablespoon of Baking Soda in 8oz of water, shaken well, scrubbed into hair and scalp and rinsed. If you need conditioning, the recommendation is for a tablespoon of Apple Cider Vinegar in 8oz of water for a conditioning rinse. I was totally intrigued and decided to try it. I had recently jumped on the Wen bandwagon, an absurdly expensive “cleansing conditioner” that I had used years ago with great results. However, this time around, it made my hair very heavy and greasy, so I was looking for an alternative. I did a little more research and found that there are both simple and complex recipes out there for a homemade shampoo. What I ended up with was a sorta ‘poo method using 1 part liquid castile soap to 3-4 parts water. I added essential oils to make my own scented blend. This seems to be the perfect recipe for me. The castile soap and water combination foams up great, washes my hair completely clean and costs SOOO much less than commercial shampoo. Not to mention that it avoids all the chemicals in shampoo. I do occasionally use the vinegar and water rinse (again with a little essential oil added for scent.) I know it seems hard to believe, but the vinegar water is a great conditioner. I need it only rarely because my scalp and hair are now very “balanced” and my hair is neither oily or dry. I also no longer need gel or mousse or anything else to style my hair. It’s is soft, has body and, mostly, behaves. What’s it like Keeping Chickens? Occasionally, I get to feeling really farm-girl and decide that we should get some chickens for our backyard… ah, fresh eggs, free fertilizer. It seems like such a good idea from the safety of my couch. What wakes me up from my dream state is the fear of what keeping chickens would be like in the “real world” vs. the world of my mind. The article that scared me off was the last one… what you should know before getting chickens. The biggest annoyance is the noise. We don’t have a rooster (we are not allowed to by zoning laws, nor would we want one) but still the noise that these creatures make is impressive. Chickens eat a lot of food, requiring re-stocking of their feeder about every three days. Of course this food turns into chicken poop. Chicken poop is high in nitrogen so it is an excellent fertilizer but it also releases a lot of smelly nitrous oxide. Yikes, it sounds like having a bunch of noisy, smelly beasts invading our property. I’m not sure “home-grown” eggs and free-fertilizer are worth it. However, I would love to hear from people who are actually keeping chickens. Particularly anybody in the New England area, who have to cope with cold winters and very changeable temperatures. The last bit of info for today… I found this great infographic on Visually on how to build a backyard chicken coop. Which is what got me thinking about keeping chickens again. 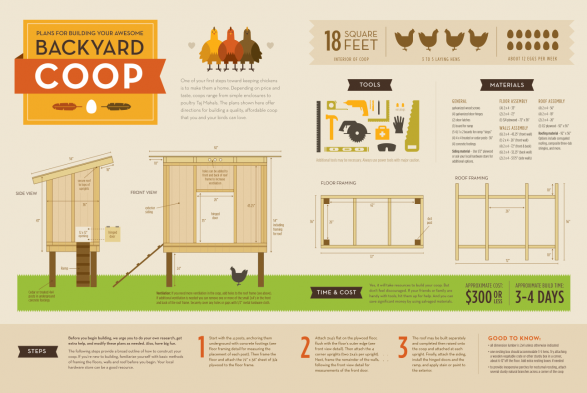 How to Build A Chicken Coop infographic by TimothySanders. Before our children were born, I was seeing a Homeopath for fertility issues (the regular medical docs said nothing was wrong, but at the time we had been married 8 years and had 2 miscarriages and no babies.) One of her suggestions was that I stop using an antiperspirant with aluminum in it and switch to just a plain deodorant instead. So that’s what I did. “Absence of evidence is not evidence of absence of a harmful effect” and “these chemicals are being directly applied daily, by very large numbers of people, and the long-term health effects of exposure are essentially unknown,” toxicologist Philip W. Harvey tells WebMD in an interview. 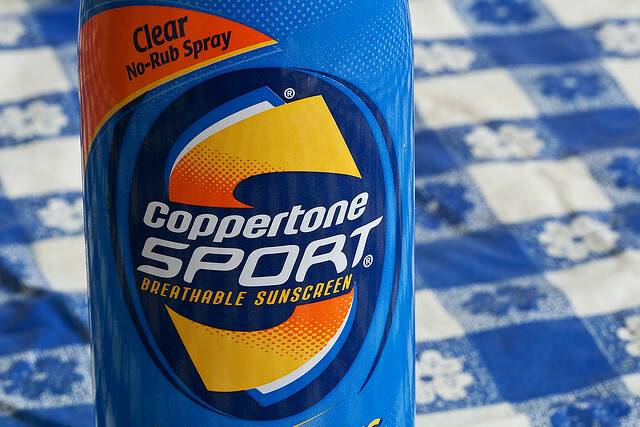 Mennen Speed Stick is also aluminum-free (as long as you get the deodorant vs. antiperspirant.) 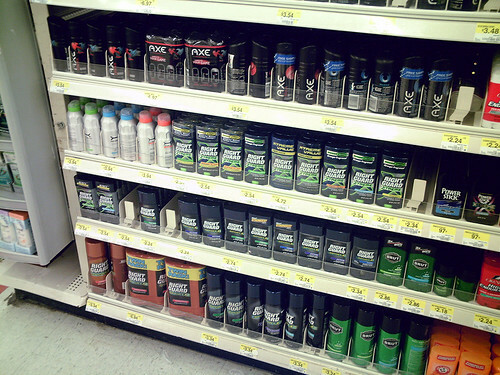 The deodorants listed above cost between $5 and $11 per container (I think you can the Mennen Speed Stick for about $3). So, recently I decided to make my own deodorant at home. I found some great recipes online (see resources below). I first tried making a balm with coconut oil, fragrance, cornstarch and baking soda. But the first warm day we had the whole thing melted into a mess, the coconut oil turned liquid and the baking soda/cornstarch clumped up on the sides of the jar. Bleh! Next, I tried just a powder based deodorant, which would not only not melt (a plus) but also would actually act a bit like an antiperspirant by absorbing perspiration. The ingredients are simple: cornstarch, baking soda and essential oil for scent. The proportion is about 5 parts cornstarch to 1 part baking soda and as much essential oil as you like. Take care with essential oils, some can be skin irritants. Use sparingly. Whisk it all together (breaking up any oil lumps with your fingers). Put it into a jar and either use a powder puff or make a “shaker” top. I decided on the shaker top for easy of use. For the shaker top, I cut out a piece of craft plastic mesh to fit the top of my mason jar, then put the ring top on to hold it in place. Done! I’m sure you’re wondering how it works…. It’s great, very effective, no chemicals, super inexpensive and easy to make. I love it. No stinky pits for me. Years ago, we were going for a hike at Saugatuck Falls in Redding, CT and I saw a woman covering parts of the forest floor with black plastic and pulling up plants. I must have given her a very quizzical look because she quickly informed me that she was removing an invasive species of plant. I recognized the plant and commented that it was also growing all over our neighborhood. This was my first exposure to knowledge of invasive species of plants. 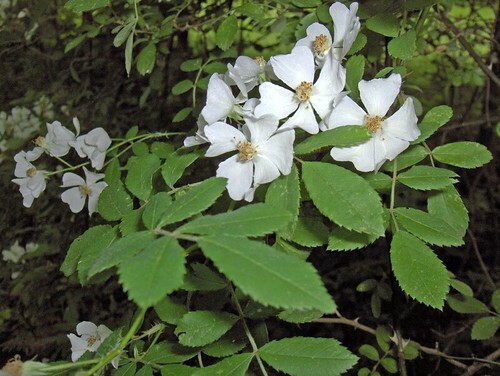 The Nature Conservancy Site has some suggestions for how each of us can help stop the spread of invasive plants in our neighborhoods. Verify that the plants you are buying for your yard or garden are not invasive. Replace invasive plants in your garden with non-invasive alternatives. 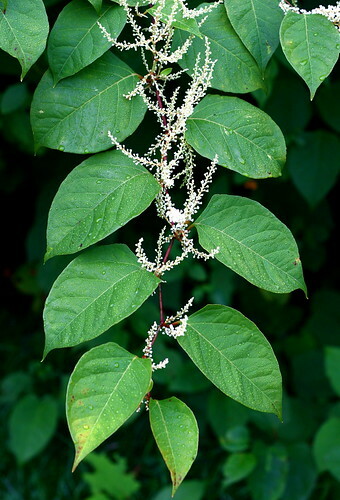 Ask your local nursery staff for help in identifying invasive plants! changes and invasions from insects and diseases. Natives require little care once established in your yard. to local wildlife, such as birds, mammals, and bees. Sometimes I get a little freaked out by the sheer volume of invasive plants I see taking over. They tend to go places where people are not carefully watching… the roadsides, places where the soil has been disturbed (like construction sites). But then I remember the story of the Indian man who single-handedly planted a forest: http://www.mnn.com/earth-matters/wilderness-resources/stories/indian-man-single-handedly-plants-a-1360-acre-forest and I feel that the steps I take month after month and year after year to replace invasive plant species with native plants will actually make a difference. Where do you find: glass bottles for fermenting water kefir, bottles for shampoo or body oil, containers for body balm or powder or even cloth grocery bags that are not imprinted with a store logo? Today’s post is my Go To List for containers. My container of choice for most things is the ubiquitous mason jar. I use mason jars for salads, oatmeal, snacks and fruit. Also for sprouting beans and for the first ferment of water kefir. Lastly, I use mason jars for my body balm and body powder too. The other kind of bottle I use are flip-top bottles for the second ferment of water kefir or homemade flavored vinegars, oils or liqueurs. I got these bottles from Specialty Bottle: http://www.specialtybottle.com/ I was very happy with their pricing, delivery was efficient and everything arrived in good condition. I recently ordered a bunch of other bottles & jars for homemade body wash, shampoo, lip gloss (my daughter’s specialty), we also got a few spray bottles, some foaming hand-wash bottles (remind me to share my hand soap revelation) and bottles and reeds for DIY reed diffusers. Got the whole bunch from Container and Packaging Supply: http://www.containerandpackaging.com/. Great prices, no minimums, lots of variety, speedy shipment, great online chat; a couple of bottles broke en route, used the chat to report the trouble, replacements were on the way within a day. What are your favorite resources for containers for homemade stuff?